(a) Plane sections normal to the axis remain plane after bending. It means that the strain at any point in the cross-section is proportional to the distance from the neutral axis. (b) The maximum strain in concrete at the outermost compression fibre is taken as 0.0035 in bending. 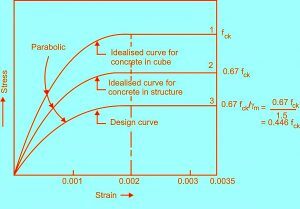 (c) The relationship between the stress-strain distribution in concrete is assumed to be parabolic, as shown in Fig. 4.1.
where fck= Characteristic strength of concrete. 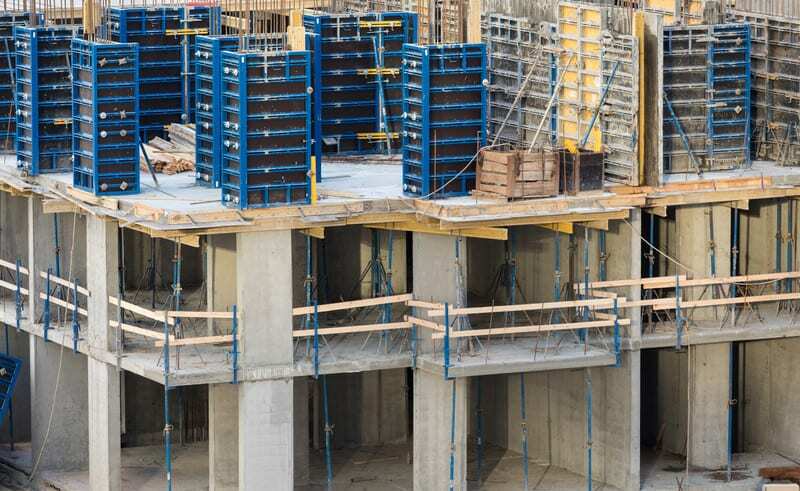 (d) The tensile strength of the concrete is ignored. 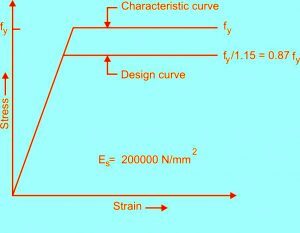 (e) The stresses in the reinforcement are taken from the stress-strain curve for the type of steel used as shown in Fig. 4.2. For design purposes, the partial safety factor (rms) equal to 1.15 shall be applied.